I have a confession to make. I like to do things in order and I'm CRAZY weird about it. There's probably a name for this, so help me out if you know it. I remember being a little girl and receiving a new coloring book. After flipping through the book, I was dying to color the picture of the girl in the beautiful ballgown toward the back of the book. But....I had to color them in order. I started with the first coloring page and made my way to the back. Truth be told, I probably lost interest WAY before I got to the picture I REALLY wanted to color. Hahaha! But that's me! It's a weird thing I do. Another example is food blogs! I absolutely love trying new recipes. Doesn't it make cooking so much more fun? But...I have this weird issue. Right now I'm cooking things Shay made months ago, because I want to go in order. Seriously. It's a problem. She'll blog something new, but I'll know I won't get to that for months! ha! In the summer, I'll be making her beef stew. :) Please tell me someone else out there does this! Things like a new planner (where you start in the beginning) or a new Bible Study are absolutely fabulous things for me to get my hands on. They're in order! I told you that crazy confession to segue into something more serious. I started this new Easter study yesterday (and I loved it because I'm supposed to start at the beginning...ha!). It began on Ash Wednesday and the author encouraged us to give up something. Not something like "dessert" or "fast food" because that's a sacrifice for sure, but it's not necessarily giving you more time with God if you don't eat a brownie. Does that make sense? If you're giving up something like that, do not feel bad. You know your heart. I'm just explaining what I read through this study. A couple things...1. I've never really practiced the observance of Lent. 2. I'm really trying to dive into this study, so I feel like I'll get more out of the study if I participate. Anyway, I brainstormed ALL day yesterday about something I really felt convicted about spending too much time with or on. It was on my mind all day long. Then I stumbled upon this article, The Reverse Lent Challenge, about not giving something up but taking something on. The author encourages you to be an encourag-ER for the next 40 days. Write notes, make phone calls, or serve for 40 days. Encourage friends, teachers, or strangers. Just encourage. This couldn't have come at a better time. I love this idea. You'd definitely be focusing more on Christ if you're using any extra time to serve and encourage others. I just thought someone out there might have been like me. Struggling to come up with something! Maybe we should reverse it and DO something for others for the next 40 days? Maybe you're like me and have never observed Lent before? I totally understand. We don't really have to call it, "Lent", to encourage others for 40 days, right? I think serving others and focusing on that for the next few weeks will do nothing but get our hearts and minds ready for Easter. Don't you?? 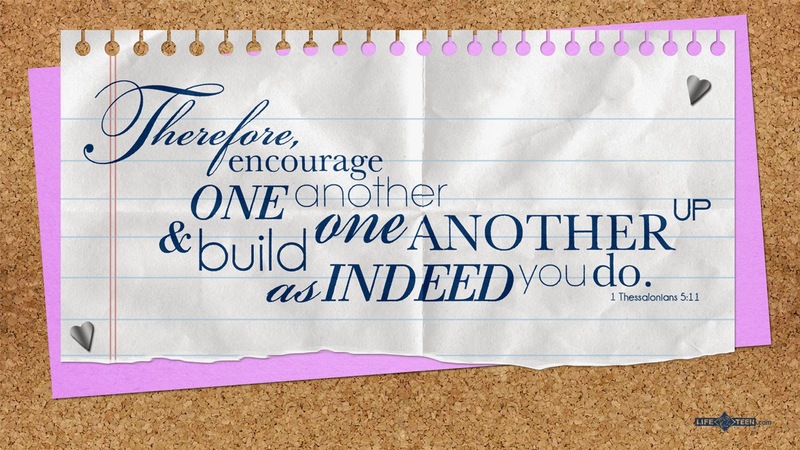 Who could you encourage today? The cashier at the grocery store? The secretary at work? The crosswalk attendant at your child's school? Whoever it might be that God lays on your heart, I'd strongly encourage you to follow through. Write them a note, give them a call, take them a coffee. Okay, what started out as a CRAZY confession ended with a little spiritual encouragement. Funny how that works sometimes, right? Listen, I love, love, love this! I often feel like people give stuff up for Lent and then spend the next 40 days complaining about it. How does that advance the cause of Christ? It doesn't! What you're encouraging people to do is positive, encouraging and helpful. I love it! So so true!!! Thanks for sharing, Elizabeth! Love this idea!!! I'm in for sure!!! This is something the whole family can do...thanks for sharing!!! What a fabulous idea! You're sweet AND smart!!!! Oh my goodness, thank you so much for sharing this!!! I have been struggling with what to "give up" for Lent because I agree it doesn't ever seem to be doing anything to grow us closer to God. I have decided to give us Starbucks (because giving up coffee altogether would be just cruel to my husband and four babies) and I can do something with the $$ I would be spending on Starbucks, like give it to a homeless person on the corner, buy them a meal, or just donate it to church on Sunday. BUT I was feeling like this wasn't "enough" (catholic guilt much?!??) So thank you for sharing this with your readers!! I will be joining in as well...even though I admit I am a bit like you and the thought of starting this on "day 2" makes me twitchy...I'll just do two things today to be caught up!! I do the same! I am scared the one time I "skip" something im going to miss out on THE Best.Thing. Ever. LOVE the reverse Lent Idea! Your post today could not have been more perfect for me. As I have also never observed Lent, but decided it would be a great way to prepare for Easter and all that it means. I've been trying to figure out something as well to sacrifice and couldn't come up with anything significant, but your idea of encouraging others is an excellent way to grow in faith and let others see JESUS in us. Thank you for sharing! I love this idea, and I love that it is something you can do as a family! Thanks for sharing! I love this idea. I observe lent every year and always give up something (this year it's giving up being wasteful), do something (like what you are doing) and increase my giving (giving more money, donating more things.) I feel that it prepares my heart for Easter Sunday. I also love celebrating advent to prepare for Christmas. Love this idea! Thanks for sharing your heart. Now I'm off to think of 40 ways to encourage. I also think our spouses need a lot of encouragement. The only problem with this? I wish I had read it yesterday so I hadn't missed a day! LOL! Guess I could do two nice things today. :) Seriously, GREAT idea! Thanks for sharing this Erika! I love it!!! I am going to try to get my kids involved too! I love this idea! I've never observed Lent either, but I really thought a lot about it this year. I love the idea of preparing our hearts for Easter. Would you mind sharing what study you are doing? I love the idea of doing for others during this time-this really spoke to me this morning because like you, I was struggling about what "to give up." That's for sharing your heart! This was just what I needed as well....I started a study yesterday called Unleashed Influence: power of servant leadership. Coincidence that you wrote about being a servant to others? I think God was just reconfirming that this is an area I need to work on. Thanks so much. Love this!!! It really lines up with some things the Lord has been laying on my heart lately. Thank you for sharing! Your thoughts are the same ones I have been having this week as I reflected on how I want to proceed with my Lenten journey. I "officially" gave up soda, but there is so much more to what I am doing for the next few weeks. The soda is only a representation to take care of the temple God gave me. I am also focusing on prayer each morning, being more selfless with my time in the evenings, and finding joy in the students I teach. I emailed one parent to share a happy thought about their child yesterday. I think we were put on this earth to build each other up. I'm posting my thoughts about this tomorrow. It's taking time to formulate how I want to say it all! I love your plan to encourage others. It is very apparent that you have a kind and giving heart! What a great idea! More people need to be encouragers-- The world would be a better, happier, nicer place! Love, love, love this idea! Thank you for the inspiration Erika! In the nicest voice possible...I think it is called OCD :) and I have it too!! I have to do everything in order. And everything has to be super organized!!! Love your Lent idea. It is so simple but will have a huge impact. I'm in! You and I are doing something similiar for Lent. I am writing 40 different people a snail mail letter. Just a little hello note, I love you in my life type of thing. I am not going to tell them why I wrote the note, just that someone is thinking of them and they are loved. :) But when I do give something up for lent, every time I go to eat that cookie or whatever, I spend a minute or two reflecting on the season and all that He sacrificed for us. I absolutely love this idea. I've got a few people on my mind that I think need a little encouragement. Thanks! Love this post! I read your blog everyday, but don't usually comment. I wanted you to know your blog has been a encouragement for me!! Your blog has made me to be a better Christian, wife and mother!! Thanks!! Love the idea of being an encourager! I'm sharing my Lent Friday Favorites tomorrow and I may just have to add this one to the mix! That's exactly what I decided to do for Lent. I like the saying "Sprinkle Kindness" and "Be the reason someone else has a great day". It's a heart warming thing to do something nice for someone who is not expecting it. Yesterday, I baked cookies for the guy who always helps me at the dump (well, recycling center I believe is the correct term, but I say dump). He told me it was his birthday and his smile stayed with me all day. Today, its muffins for the lady at the post office. I try and pick people who I see on a weekly basis who probably never ever get thanked. Could you recommend a Bible Study for me? I'm Catholic, go to church regularly, but have never done a Bible study and have no idea where to start with looking for one. So, any recommendations?? aemcguire@msn.com is my email address. Thanks! I LOVE this!!! I grew up Catholic and have been attending a Baptist church as an adult but still want to observe the Lenten season so this is great. I'm going to make my list of 40 people and/or organizations to encourage when I get home tonight and get started! It's awesome how you use the platform of this blog (which reaches so many souls ) to share Jesus' message. Not many people have the courage to do this! Keep up the witness for Christ!! I love the reverse Lent idea! I signed up to receive daily Lent emails from Edie Wadsworth at www.lifeingrace.com, she is so encouraging especially for stay at home moms! I love taking on something in Lent while I also give something up like Diet Coke just for that little reminder that I am denying myself for God. This year, I plan on going to church more than just every Sunday. I am Catholic, and they offer Mass and Adoration throughout the week. By the end of the 40 days, I do feel a lot closer to God. Thanks for sharing what you are doing. I love to see how others turn their focus more to God during Lent!